GRIFFITH, Ind. 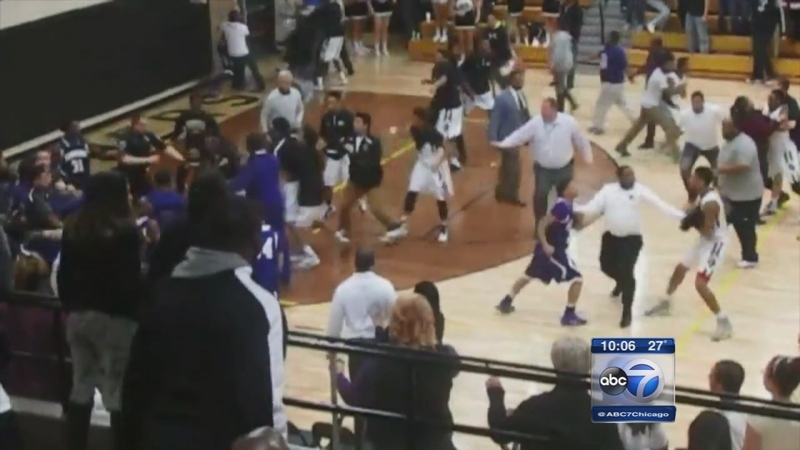 (WLS) -- No charges will be filed in an Indiana high school basketball brawl caught on camera. The huge fight between Griffith and Hammond high schools occurred in February. Some adults were also involved. Police in Griffith recommended charges. But the Lake County, Ind., prosecutor said that while poor judgement was made by those involved in the fight, no crime occurred. Brawl breaks out at H.S. basketball game in Griffith, Ind.